2) People wanna see how the sausage is made. 3) If you want people to come see your shows, you need to speak their language, or teach them yours. 4) “Tell me and I’ll forget; show me and I may remember; involve me and I’ll understand.”—Chinese proverb. 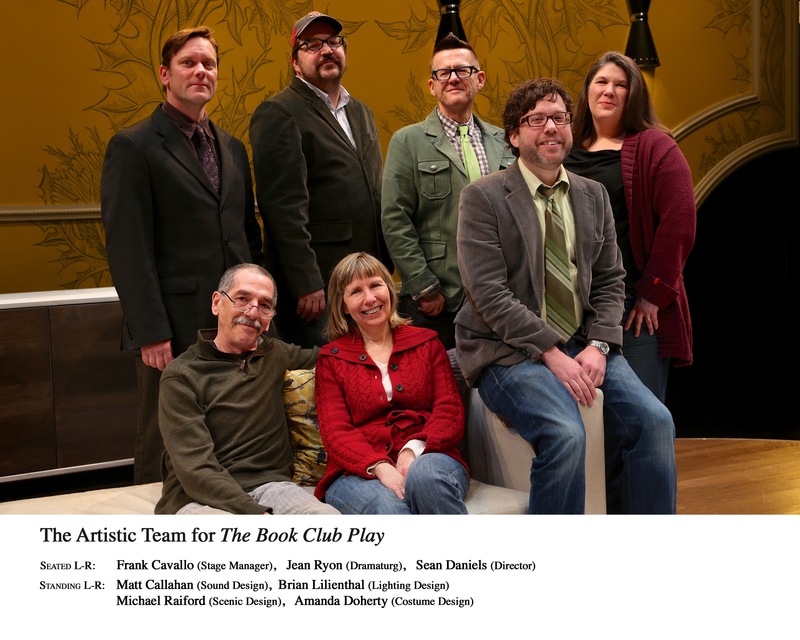 We just opened The Book Club Play, written by the always charming Karen Zacarias at the Geva Theatre Center in Rochester, New York. 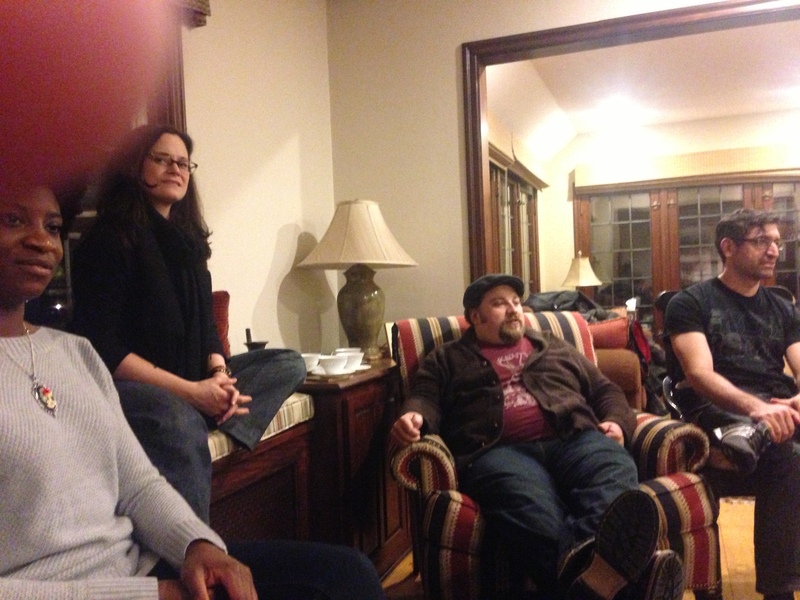 And as part of that, we tried a grand six-month experiment: The Cohort Club. The Plan: to identify a group of twenty Rochesterians from varied ages, races, and socio-economic standings and give them unprecedented access to the creative process. And we did just that: we made the Cohort Club. And we made it look like Rochester. Participants were welcome at all rehearsals, technical rehearsals, previews, opening, and they received rehearsal and show reports daily. 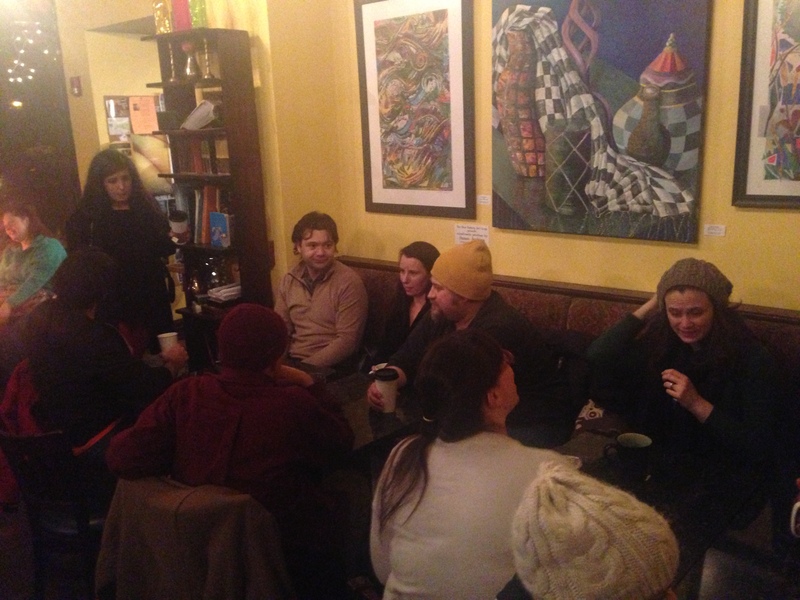 Following rehearsals, we’d sometimes go for coffee and adult beverages together, so folks could chat with me, the director, as well as the playwright and actors to gain a deeper level of understanding of the play and the production. In exchange, participants agreed to read the script in advance of the project, attend a pre-rehearsal event at the theater to talk about the process, journal about their experience in whatever medium they find the most exciting (pen and paper, Twitter, Facebook, etc. ), and make these notes available to the Geva staff. Yes, this was brave, and bold, and outside of everyone’s comfort zone, so I contacted each of the designers, the actors, and the playwright and walked them all through it. Luckily almost all of us had worked together before and everyone was game. Had it been a show where everyone was on a first date with each other, I think it might have fallen apart on day one. Perhaps our collectively bravest moment was when we went as far as to do a run through of the show, and then have the entire room, cohorts and actors talk about the show—why certain choices were made, where we are in the process—and equally important, what wasn’t working, and how we knew it wasn’t working – you know, sometimes things don’t work till week three. Now that we’re through the process, or at least now that we made it through the opening, I can say for our first time out of the gate, it was a major success. How do we gauge that? After four weeks of attending rehearsals and tech, the Cohorts called the show theirs—they talked about how nervous they were for their show to open, they brought friends to opening, they baked for the cast, they now obsessively check show reports as they came out—millions of dollars of marketing can’t buy this kind of ownership of our artistic product, and fluency in talking to their communities about it. What I couldn’t predict is that the idea of education breeds excitement would be so true. The Cohorts suddenly wanted to learn more and more. Where is the costume shop, can we talk to the stitcher? Your sets are hand painted? Can we talk to the painter? What is the Equity book we all curse? And so on and so on. After opening, they commented on how they didn’t realize how many local artists it takes to pull off regional theater. Their appetite only grew as we offered more access to what we do. Some of the Cohorts were twenty-year subscribers who responded like they were hearing things they had never heard before. A great lesson in just because we told them how many local artists it takes to put on a show, they don’t always hear it—because until now, we weren’t really speaking the language our patrons spoke. Where we can improve is facilitating ways that the Cohorts can talk to other Cohorts. After attending rehearsal, they wanted to chat amongst themselves; they wanted to talk to each other about why they liked theater. They wrote to each other about why they got into theater in the first place. In addition to learning about us, they wanted to learn why other people go to the theater. They wanted to know more about who else in their city goes to the theater. They always wanted to know more. Though it may be a great idea, I think it only worked because of the generosity of the actors and designers. The actors went out of their way to learn the names of the Cohorts kids. Most breaks in rehearsal were spent with the room just talking – as both groups learned about each other. Community got made on each 10. It also only worked because our staff had holistically bought into the idea before hand. When the Cohorts wanted to tour the costume shop, the costume shop made itself open to them at any time. When the Cohorts wanted to know more about the sets, the shop started talking about when they could be open. And when the Cohorts wanted to read the equity handbook….we told them they’d gone to far. What I didn’t realize would be so personally exciting for me, is that the presence of the Cohorts really positively impacted the work and the artists themselves. After a big breakthrough on Sunday night of tech, many of the actors were disappointed that the Cohorts weren’t there when the discovery was made. Our actors had incorporated the community into the process. I’ve also found that it’s been profound for me in changing how I think about engagement, how our audience wants to be involved and the real power inviting them into process has on all of us. When we did our run through and I listened to the cohorts make connections inside the show, I began to truly see them not only as observers, but also in the same way you see artistic staff visiting the room—trusted allies offering their opinions for you to take or leave as you ponder next steps. And for them, as many of them pointed out—to be asked, not marketed to—made the difference in how they came to deeply care about the process. With any production, there is fun, short-term audience engagement, but sustained, deep, relationship-driven, artistic-based audience engagement? That’s more than doing great work for your audience, that’s doing great work with your audience. Were there some road bumps along the way? Yes a few, but a whole lot less than you would think. There were those Cohorts who didn’t understand why they weren’t being more involved in the actual directing of the piece, and when cohorts wanted to come multiple times to see the show (some saw all the previews), we weren’t ready with easy pathways for them to do that. But it dawned on me, the only reason we hadn’t done this before is that we worried the audience would judge us too soon, that they wouldn’t understand process, that they weren’t smart enough to know what “first run through” means, that they’d expect perfection—and just the opposite was true. 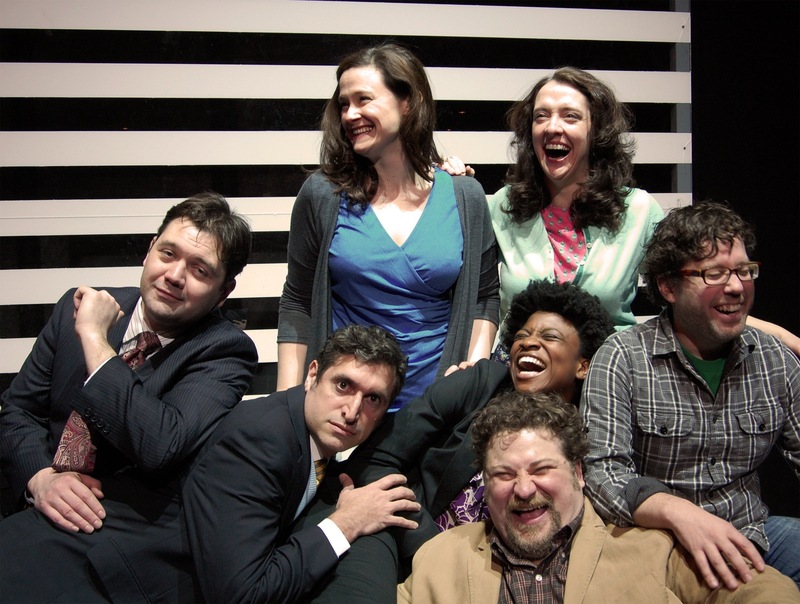 When the Cohorts knew where we were in a process, they reacted like we all do—they watched with generosity, they laughed for almost landed jokes, they rooted for moments, and they willed the show to success—and on opening night, they opened their show. The problem we’re facing now is since the pilot Cohort program was successful, how we move it forward? Can it exist with directors who aren’t game for such transparency? Does it only work for comedies? Does it only work when the actors/designers are a team and already comfortable? One way to find out. Next year we’re expanding. As of writing this, I don’t know what that means, but the momentum is too strong, and who are we to say no to a town that wants to learn more about it’s local theater? This is fantastic. Thanks so much for sharing your experiment and its results. As an AD of a fledgling company thinking about these very issues this was inspiring and though provoking. Much continued success to you all! Brave, bold, and downright wonderful. Congrats on such an inspired experiment! I love that you did this Sean. This is so inspiring. 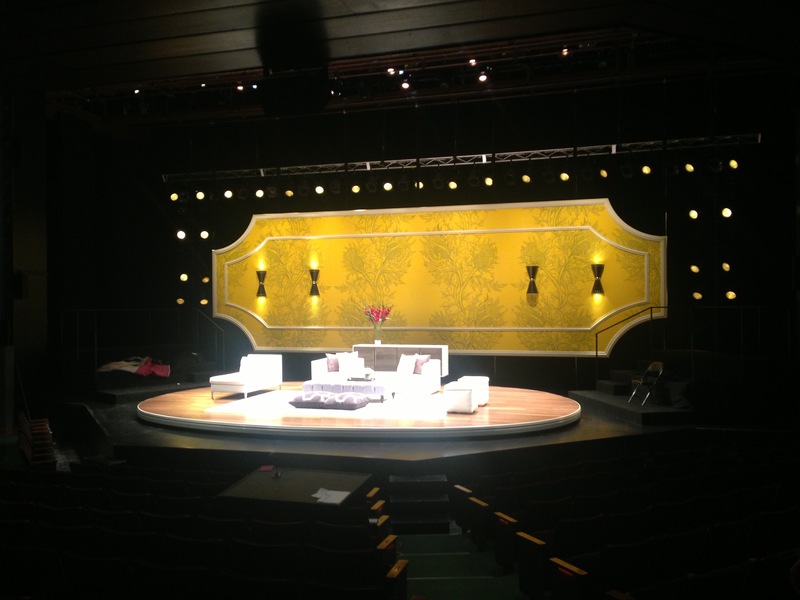 We believe the audience aesthetic is so important and this really addresses that part of the equation. Even more glad that you wrote about it. This made my day. I wish we had done this with BOB! This program has a familiar ring. Isn’t it Actors Page to the Stage program with changes ? Miss you and would love to see you. 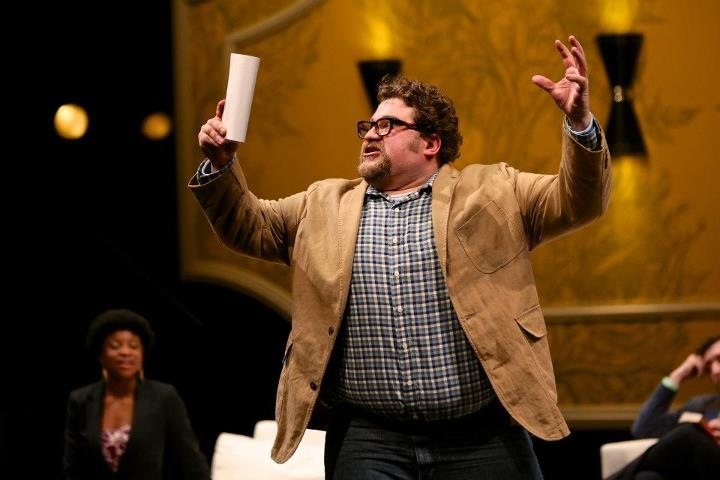 Are you coming to Humana Festival ? I hope so. Wonderful new restaurant at Actors. It is owned by Edward Lee owner of 610 Magnolia, the finest restaurant in our area. It is called Milkwood. I love it and the food is amazing. Hey Roanne, always love hearing from you. Yep, it’s a form of Page To Stage, with a larger artistic component, and for everyone, not just donors – and it’s the same crew of actors and designers we used to have at Humana, so they are used to having people in the room. Love hearing about the new restaurant. I love love loved 610 Magnolia, sure it’s fantastic! Fascinating. Thanks for putting it out there. Sean, this is great. It seems like lots of us do some version of this but you have made it cohesive and thoughtful and I’m really moved by it all. Best to you! This is exactly right. Exactly. Now if we could just get academic theatre to follow this format.